Transaction Management On the Go! 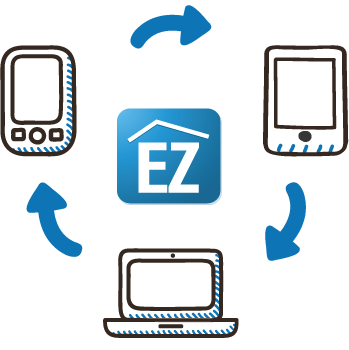 EZ Coordinator is compatible with all mobile operating systems including iOS, Android, Windows and Blackberry.” Simply log into your EZ Coordinator account from your tablet or smartphone, and you can use all the same functions and access all the same information as you would on your desktop. You can show clients a floor plan, while standing on the empty lot, or capture electronic signatures on your iPad with DocuSign. Your account remains encrypted and secure regardless of your location. With EZ Coordinator, you’ll never have to leave a meeting to retrieve an important document, or to check on a closing date, because everything you need is in one place, at your fingertips.